DEWLT is a worldwide brand and a subsidiary of “Stanley Black & Decker”. The original company was founded in the year 1924 by inventor of the radial arm saw – Raymond E. DeWalt, but it was growing so quickly that in 1947 it was reorganized and re-incorporated as DeWalt Inc. Today DEWALT is a leader of industrial power tools manufacturing, producing more than 300 power tools and equipment, and more than 800 power tools accessories for woodworking, construction and manufacturing industries. DEWALT production is available not only in national level, but also in international level all over the world. Company wants to become a significant global manufacturer and marketer of power tools, accessories, hardware and technology-based fastening systems. 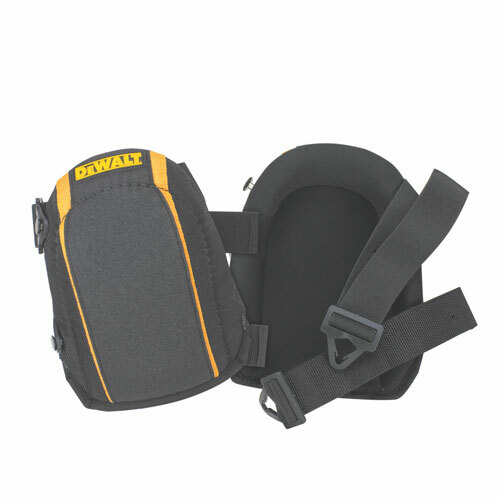 These DEWALT Heavy-duty Flooring Knee Pads, as it can be surmised, are meant for knee protection during decking of such flooring as tiles, wood, carpets or linoleum to avoid knee damages which usually are caused by continuous pressure and attrition during crawling on different surfaces. These knee pads are not suitable for standing. These DEWALT knee pads has many features and one of them is inner neoprene fabric liner which helps knees to feel comfortable all day long despite working postures. These flooring pads contain dual-layer outer shell which is made of heavy duty ballistic poly fabric and tough PVC, providing extra durability and thus superior protection against knee injuries. 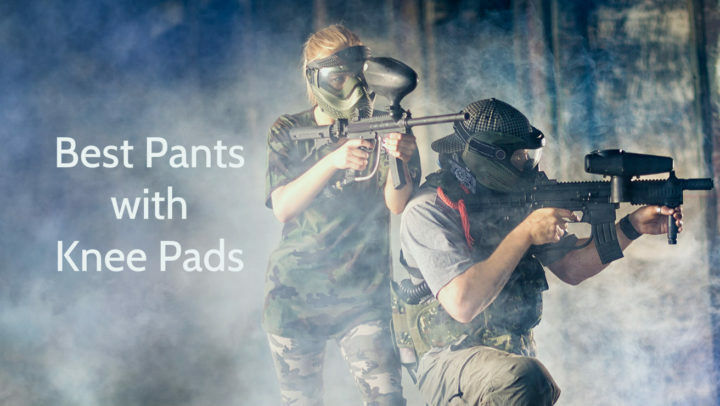 It is important that these knee pads are protecting not only knees, but also finished surfaces, for example, tiles from scuff marks which often are leaved by hard knee pads. These DEWALT flooring knee pads also have closed-cell foam padding which is made by using core technology and, therefore, it helps to reduce the pressure on kneecaps, ensuring ultimate comfort. Another feature of this product is slip-buckle fastener system which includes adjustable straps, therefore, it is suitable for almost everyone. 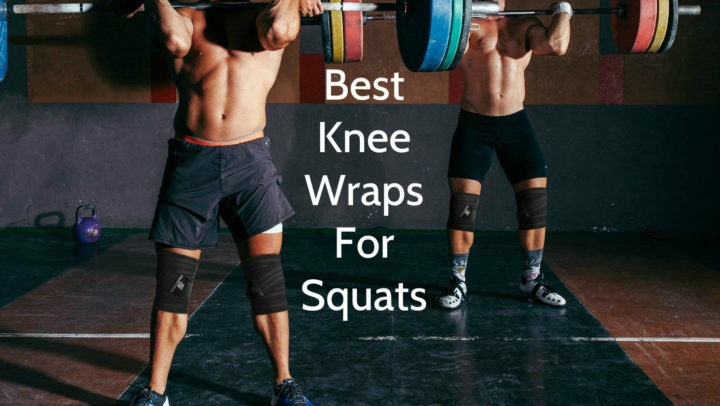 It should be mentioned, that each knee pad has two straps which provides stability and thus continuous protection and comfort. These DEWALT knee sleeves are black, but they have some yellow accents too, because black and yellow are DEWALT brand colors. Their outside layer is made of ballistic poly fabric and PVC, but their inside layer is made of closed-cell foam and neoprene fabric. Each of them have two adjustable straps with buckles. This product also have yellow DEWALT logo on top. These DEWALT heavy-duty knee pads are available only in one size, but it is not a problem, because they are equipped with slip-buckle fastener system which includes adjustable straps, therefore, they are easily adaptable to almost every knee, without loosing their main functions. These DEWALT DG5224 Heavy-duty Flooring Knee Pads are meant for knee protection during decking of different flooring surfaces, for example, indoor, tile, wood, carpet and linoleum surfaces to avoid knee damages. This product is made of ballistic poly fabric, PVC, foam and neoprene, and it is available only in black color with yellow accents. Their dimensions are 8.5” x 13.5” x 3.3” and their weight is 1 pound. As these knee pads have adjustable straps, they are suitable both for adults and youngsters. These flooring pads have many features such as neoprene fabric liner, dual-layer outer shell of ballistic poly fabric and PVC, closed-cell foam padding which is made by using core technology and slip-buckle fastener system with two adjustable straps. These DEWALT knee pads can be washed in washing machine and usually they are sold in pairs.